The sesquicentennial of the Confederates’ ill-fated Franklin-Nashville campaign is kicking off as John Bell Hood moves his army north into Tennessee. 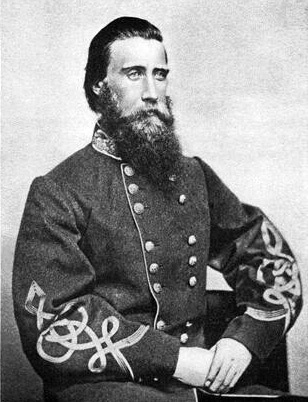 Hood’s intent was to drawn William T. Sherman’s armies after him; instead, Sherman plunged into Georgia, leaving the problem of Hood to Army of the Cumberland commander William T. Rosecrans. The situation was desperate. Things went amiss for Hood almost immediately. In the 150 years since, history has not judged him well. We’ll share their answers over the next few days as the Franklin-Nashville Campaign kicks off. This entry was posted in Campaigns, Leadership--Confederate, Memory and tagged Franklin, Hood-Remembered, John Bell Hood, Nashville. Bookmark the permalink.